A beautiful gem available in nearly all the colours and multi-coloured gems are also available. Its deep colours and enchanting lustre makes it one of the most widely used gemstones. 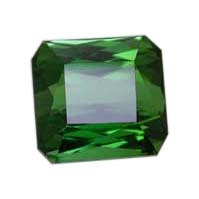 Though good quality Tourmaline are expensive but still not as expensive as Emeralds and Rubies. For children recomended ratti 2 to 3, for minor 3 to 5 ratti and for adults 5 to 15 ratti. Ring should be made of only Silver. Ring should be worn only on Friday morning and Ring should be worn in Kanistha or Madhyama finger.